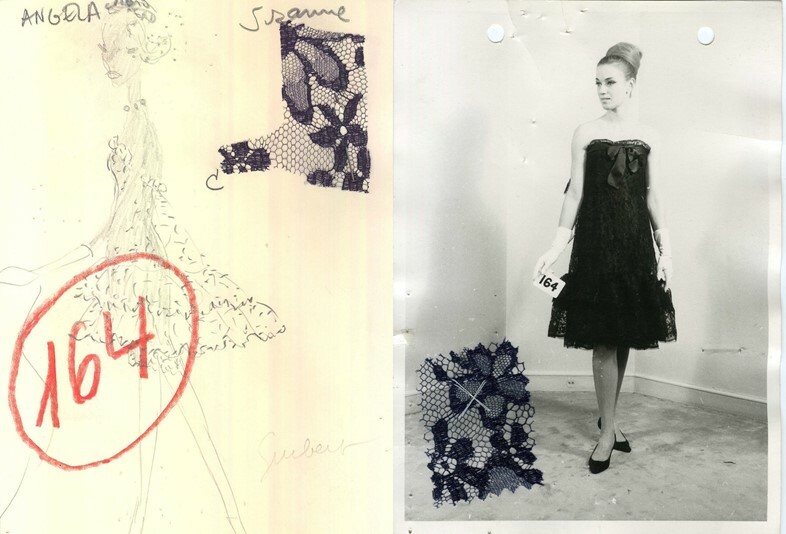 Lace is a fashion essential which holds endless charm, and so is the house of Balenciaga. Opening to coincide with the 120th anniversary of the birth of its founder Cristóbal Balenciaga, the new exhibition at the Museum of Lace and Fashion in Calais pays homage to his imaginative lacework. From fabric to decoration, boleros to evening dresses, Balenciaga, Master of Lace explores the designer's inventive crafting of lace’s endless potential. Treated in ways that highlighted its delicacy, the elegant fabric was a favourite of the Basque couturier, whose exceptional technical skills, subtle inlays, delicate frills and modern designs were key to his superb creations. 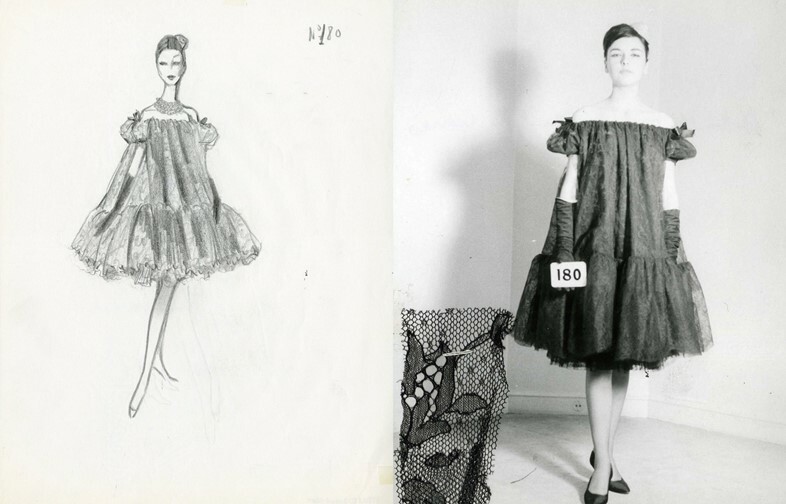 Throughout his career in Paris, Balenciaga relied on Calais’ vibrant lace-manufacturing industry for the production of his dresses. Using everything from guipure to gossamer tulle and weightless Chantilly lace, Balenciaga’s work became synonymous with sophistication and refined grace. 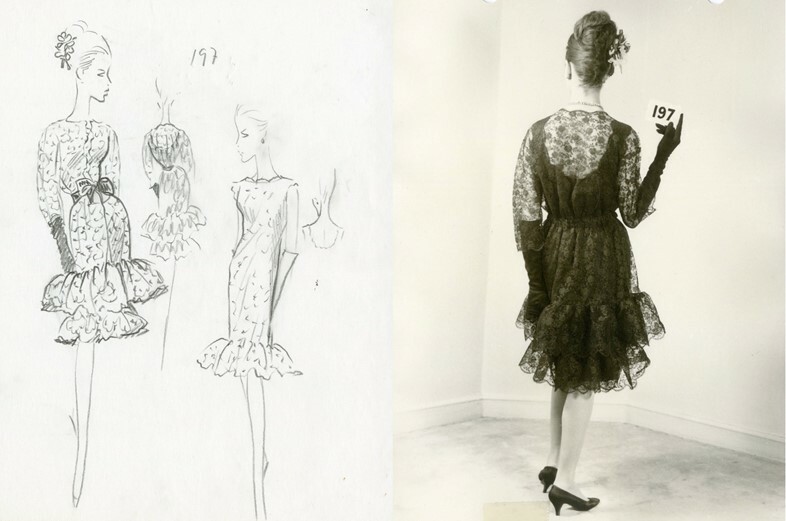 But, while the exhibition takes visitors through the Spanish designer’s most legendary pieces, here we bring you some lesser-known facts about the king of haute couture alongside exclusive comparisons of his sketches and realisations. When Balenciaga's father died, his mother was left to provide for her three children. It was at the age of 11 that the couture genius started developing an interest in fashion when he began to sew as a way of helping his mother, who worked as a seamstress for some of Spain’s most elegant women. He went on to receive professional training by joining a tailoring firm aged 12. Cristóbal Balenciaga had already opened three boutiques in Spain when, in 1936, he was forced to leave the country at the outbreak of the Spanish civil war. Like thousands of other Spaniards who fled to refugee camps in France, Balenciaga reluctantly moved to Paris, and his new store opened on Avenue George V in August 1937. 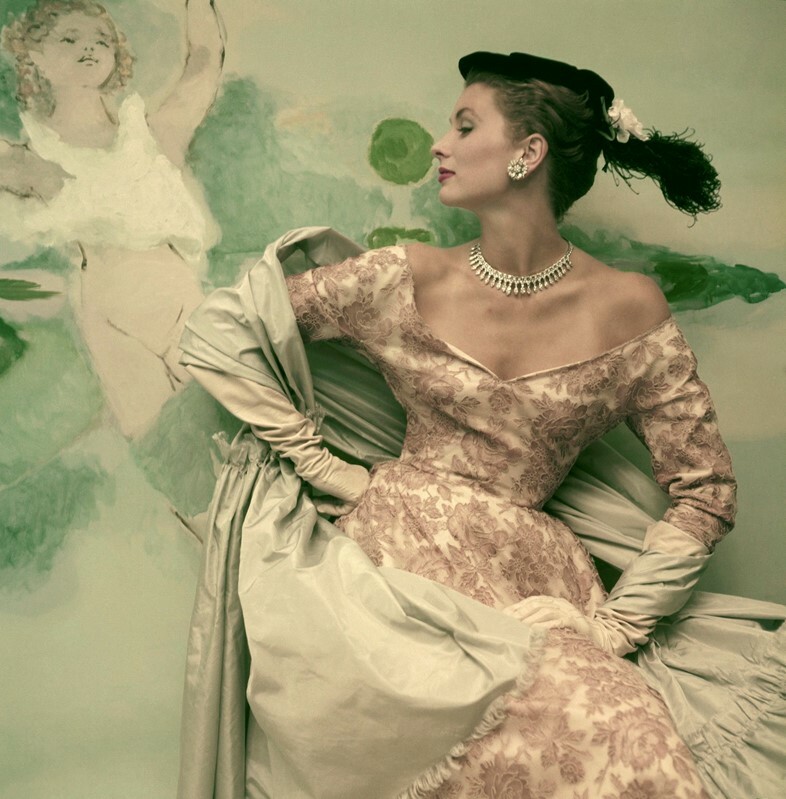 Although curved-in trunk, stuck-out hips and an obnoxious air was the classic 1950s model look, it was Balenciaga's fitters that had the worst reputation, being so condescending that they were known as the “monsters”. If Christian Dior’s 1947 New Look was all about small, nipped-in waists, mid-calf skirts and prominent hips, Balenciaga went the opposite direction with his broad shoulders and box shapes. Achieving a sublime softness of form by adding volume around the waist and going asymmetrical on the length, he created staple pieces like the egg coat, the semi-fitted suit and the peacock tail dress. A fan of soft lines and delicate femininity, Balenciaga remodeled women's figure with his baby doll dress. From Twiggy's wiggly, sleeveless version to Courtney Love's grunge interpretation, the puffy, curve-free, trapeze frock has been reinvented countless times since its creation in 1958. 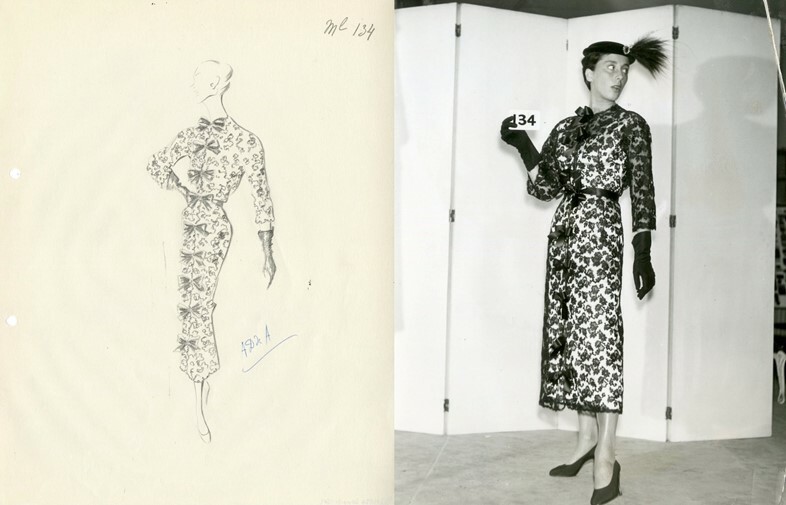 Although Monsieur Balenciaga “liked a little stomach”, as one of his models notably said, his mannequins replicated the different body shapes of his clients and proved that any woman could look great in his creations. The Air France in-flight coordinators of 1968 were possibly the most stylish cabin crew of all time. Their navy ensembles, designed shortly before Balenciaga announced his retirement from the fashion world, featured sleek lines and white detailing. Flight attendant fashion was a trend of the era: Emilio Pucci designed the Harlequin-esque uniforms for Braniff Airlines in 1965, while Pierre Cardin was the brain behind the 1969 futuristic capes of the Olympic Airlines ladies. Unlike most fellow designers, Balenciaga always tried to avoid publicity – he never came out to take a bow at the end of his shows and the only full interview he ever granted was in 1971, to Prudence Glyn of The Times. Regarded as mentor by some of the world’s most prominent designers, including Hubert De Givenchy, Oscar de la Renta, André Courrèges and Emanuel Ungaro, Christian Dior referred to him as “the Master of us all”. In 1972, Balenciaga had already closed down all of his couture houses in Paris, Barcelona and Madrid when he was asked to design the wedding gown for Francisco Franco's granddaughter and future Duchess of Cadiz María del Carmen Martínez-Bordiú. He died 16 days after the wedding, at the age of 77. 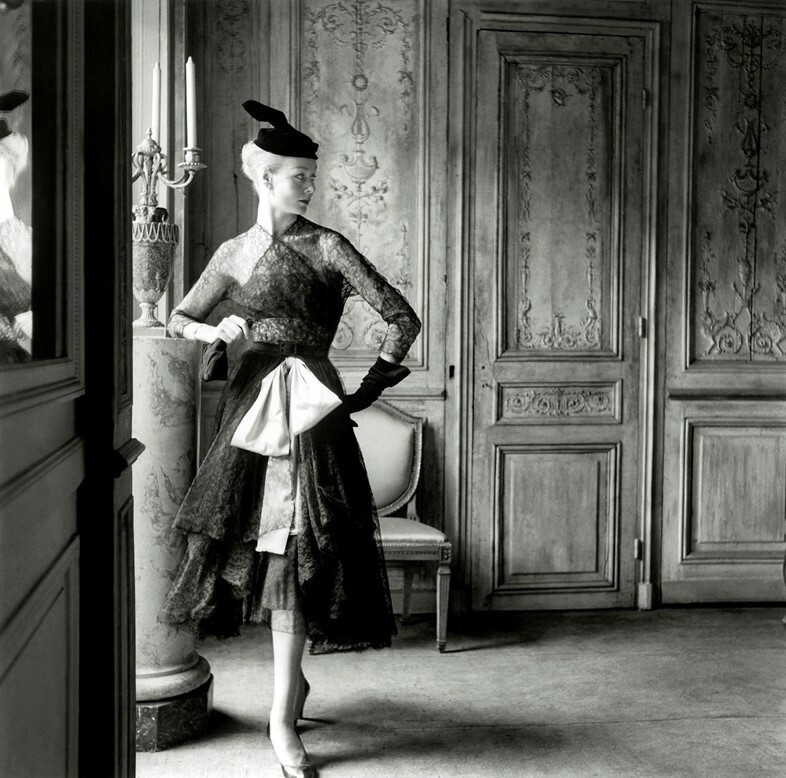 Balenciaga, Master of Lace is at the Museum of Lace and Fashion from April 18.